Hundreds of Chilworth residents attended the annual Easter Duck Race on Easter Monday and played their part in helping to raise over £1,500, which will now be reinvested into local amenities and facilities for local residents. Over 500 multi-coloured plastic ducks set sail once again from the start line in a race that lasted two minutes and saw entrants vying for first place. Local residents even unleashed their creative side and entered ‘home-made’ ducks, which included a floating duck’s nest and a duck l’orange. 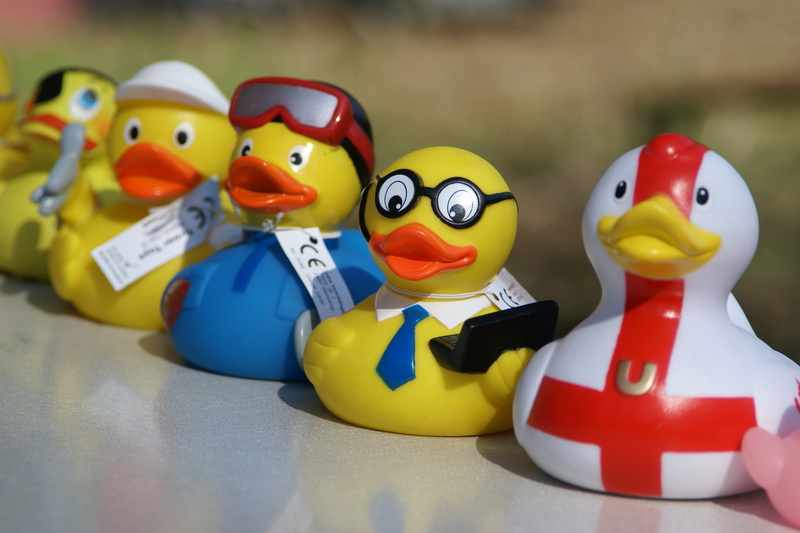 Maggie Scott, on behalf of Chilworth2gether and one of the event’s organisers, comments, "The duck race is a fantastic opportunity to bring our community together to have fun and to raise money for causes in our village. We are proud to be able to support other organisations this year as well as putting on our own events. We'd like to thank Seymours for their generous sponsorship, which helps fund projects that make living in this village so special." Of the funds raised, £350 will be donated to St Thomas’ Church in Chilworth, £150 will be donated to Chilworth C of E Infant School and bird boxes will be purchased and placed around the Gunpowder Mills site. Chilworth2gether will also be contributing towards improving the bridge leading to the Heritage site in order to make it more accessible for wheelchair users. The Seymours-sponsored event saw the first 10 entrants past the line presented with an Easter egg, with those making first place also receiving a rosette. The three category winners were Tanya Fennessy, who won the main race, Holly King, who won the novelty race and Sebastian Campbell-Howe who, at only three years old, won the creative duck category. For more information on Chilworth2gether visit www.chilworth2gether.co.uk or www.seymours-estates.co.uk.